This page has been updated with photos and captions from the task force's January 30, 2018 meeting, which took place in the Judicial Council boardroom in San Francisco. 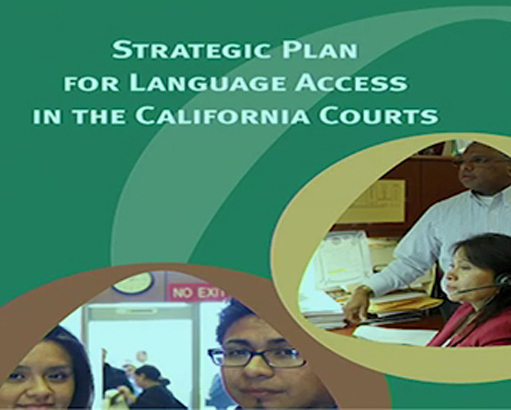 Who: The Language Access Plan Implementation Task Force on January 30 will hold its next in-person meeting to continue its progress on implementing the 75 recommendations in the Strategic Plan for Language Access in the California Courts. The plan, adopted by the Judicial Council in January 2015, provides a consistent statewide approach to ensure language access throughout the courts. What: The agenda for the task force’s meeting includes: consideration of a points of contact document to help court staff serve limited-English proficient court users, review of technological options for providing language services outside of the courtroom, and an update on the status of a video remote interpreting pilot project. When: Tuesday, January 30, 11:00 a.m. – 4:00 p.m. Note: The meeting will be open to the public from 11:00 a.m. to 1:00 p.m., and again from 3:00 p.m. to 4:00 p.m. Public comment is scheduled at 12:30 p.m. A live broadcast of the meeting, as well as closed captioning (in English and Spanish), will be provided on the Language Access webpage: www.courts.ca.gov/languageaccess.htm. The public can also listen to the meeting by dialing 1-877-820-7831 and using passcode 6139679.